If reports are to be believed, then you’re looking at the last normally-aspirated V12 Ferrari ever. 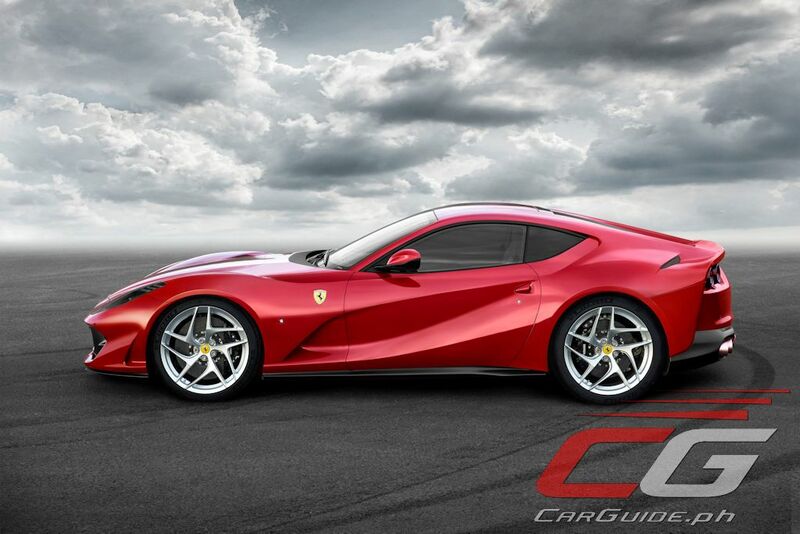 Ladies and gentlemen, presenting the Ferrari 812 Superfast. 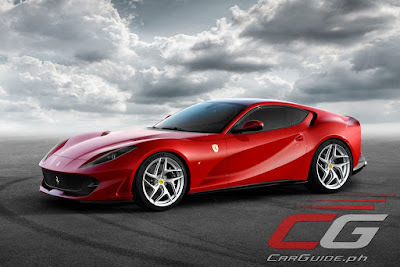 Set to be launched at the 87th Geneva International Motor Show, the 812 Superfast is the most powerful and fastest car in Ferrari’s 70-year history and takes over the reins from the F12berlinetta and F12tdf. 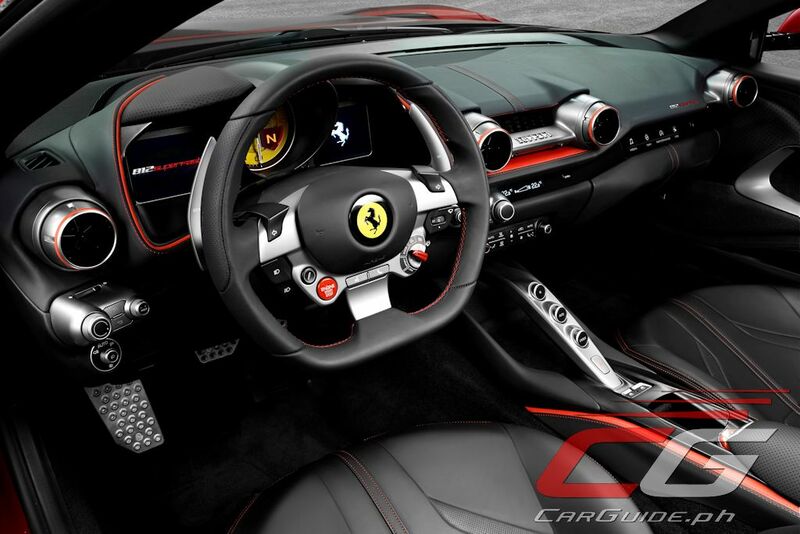 The name pays tribute to classic Ferrari models, specifically the ultra-rare (only 36 made) 500 Superfast. Powered by a new 6.5-liter V12 engine, this normally-aspirated powerplant does 123 horsepower per liter, bringing up its maximum output to 800 horsepower at 8,500 rpm and maximum torque of 718 Nm at 7,000 rpm. 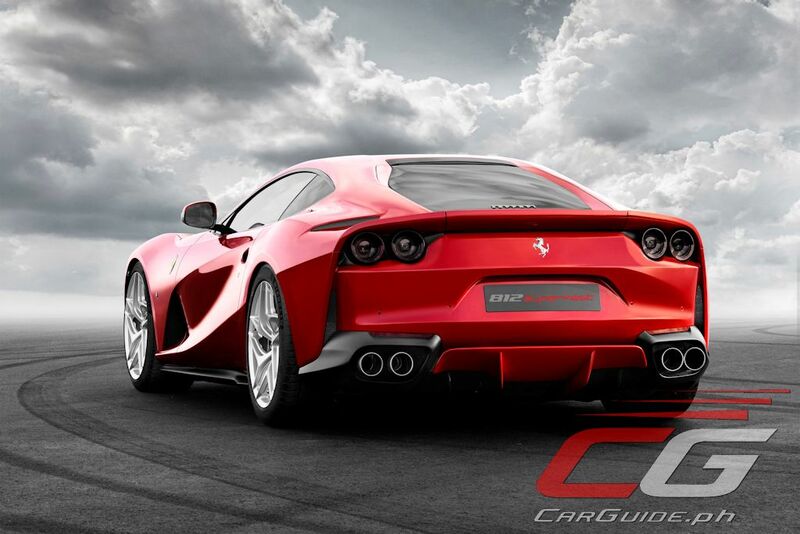 Undoubtedly, it’s sure to give thrilling top-end performance that’s characteristic of Ferrari’s V12 heritage. To achieve those benchmark figures, Ferrari adopted a 350-bar (5,076 PSI) direct injection system used in a high-performance engine for the first time. It’s paired with a variable geometry intake conceptually derived from Ferrari’s own F1 engines. The 812 Superfast’s dual clutch transmission also has revised gear ratios which, combined with shorter up and down-shifting times between gears, sharpen the response further. 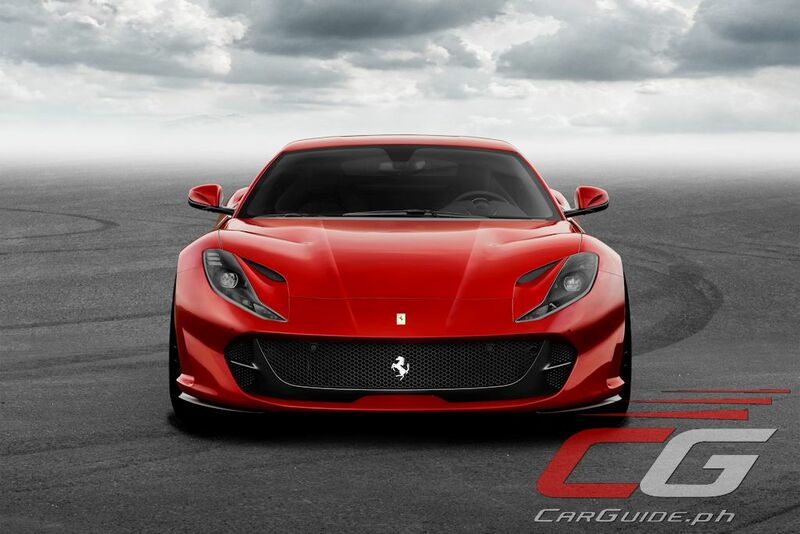 The 812 Superfast is equipped with leading-edge control systems and components, resulting in unparalleled handling. It’s the first Ferrari to sport EPS (Electric Power Steering). Completely integrated with all the electronic vehicle dynamic controls, Ferrari says its powerful performance is easier to exploit. It also features the latest version of the Virtual Short Wheelbase 2.0 system (PCV) which, following the experience gained with the F12tdf, features a further evolution of the software that improves the nimbleness of the handling and reduces the vehicle response times even further. Designed by the Ferrari Styling Centre, the new 812 Superfast harks back to glorious Ferraris of the past, specifically the 1969 GTB4 with its two-box, high-tail design. Apart from being an imposing machine, the style serves an aerodynamic function which provide exceptional downforce. And to mark Ferrari’s 70th anniversary, a new special color, Rosso Settanta, will be made available. Inside, the interior of the 812 Superfast has been revisited in line with the more extreme exterior while maintain a degree of comfort expected from Ferrari’s V12 grand tourers. The cabin has been given a sportier, more radical look with the main elements seeming to float. New, more sporty and ergonomic seats feature alongside the new HMI, including new steering wheel and instrument clusters and the latest infotainment and air-conditioning units. I know, right? Terrible name.